The case or bag your instrument comes in is just as important as the instrument itself. Without a proper fitting and functioning case your instrument is subject to getting bumped around and causing it not to play correctly. It is essential to keep your instrument in its case even when it is your own locker at school. It is vital to the health of your instrument to use when transporting it from home to school, or anywhere else for that matter. Some of the larger string instruments come with custom fitting bags rather than cases. This is mainly because cases for these are slightly cumbersome. The bags are designed to fit the instruments specifically and have proper handles for carrying and protect the finish from scratches. 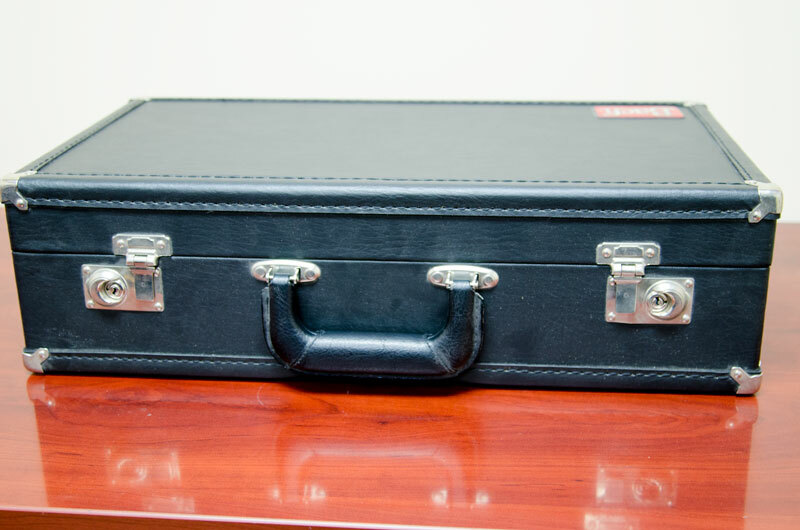 It is just as important to keep your case/bag in proper working as well as your instrument. We can usually replace latches-hinges-handles-straps-corners-wheels on most any case. Sometimes the inside of the case can become so worn and broken down that it no longer holds the instrument in place. When this happens the entire case needs to be replaced. All in all the case or bag is very important and needs to be kept in good shape to make sure it can do it’s job of protecting your instrument.